Leftover soup, throw together soup, clean out the fridge soup. Whatever you call it, this soup is a staple at our house for finishing off the leftovers and stretching our meal budget. After many years of creating these fresh soups from leftovers, I am ready to share with you the secrets that will turn your leftover soup into a meal to savor! 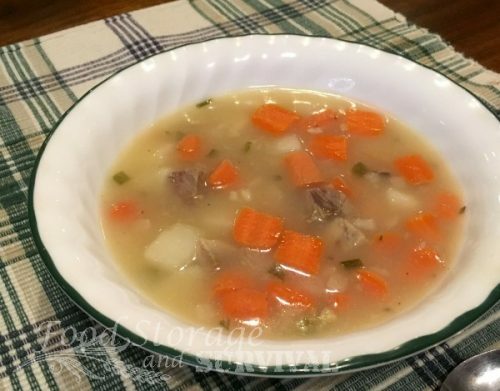 The ingredients for this soup will vary depending on what you have on hand and what leftovers you are trying to use up, so I’m just going to give a recipe guide here with ideas that you can put in your soup if you have them. Every one of these is optional except the soup base so you can make any combination of different soups. It only takes five parts to create a fantastic leftover soup! 1. Soup base. Get out a pot and start heating some water in it. You’ll want enough water to cover the other ingredients you’ll be cooking in your soup. Remember that if any of your ingredients are dehydrated or freeze dried, they’ll need a bit more water than fresh veggies or meats. For the sample soup in the photo I used Thrive’s beef and chicken bouillon, salt, pepper, and parsley. 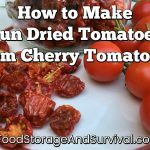 Some of my favorites to add are Thrive’s freeze dried mushrooms, green or red bell peppers, corn, onions (if I don’t have fresh), green onions, asparagus, or spinach. The sample soup had carrots, potatoes, freeze dried onions and freeze dried green onions. It was a simple soup night. Are you seeing the limitless combinations yet? 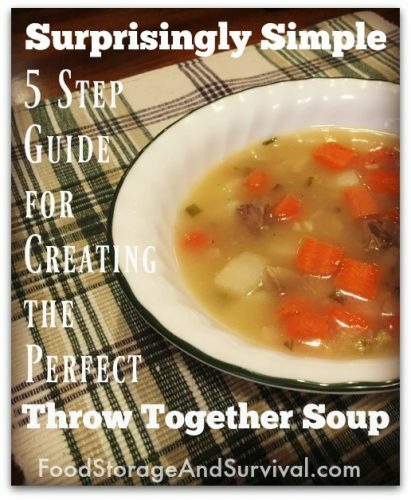 Leftover soup is never the same twice around here! I had potatoes in my sample soup. 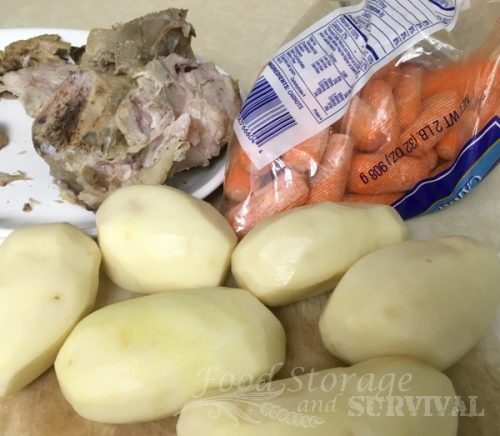 If you plan to use fresh (uncooked) meat, you’ll want to cook it before putting it in the soup or change the order of assembly and boil the meat to cook it before adding the veggies and starches. Cut cooked meats into bite sized pieces before adding to soup. The sample soup used leftover pork roast. The type of meat you will be using can influence which flavorings and extras you add to your soup, so it’s best to know what you’ll be putting in before you start putting your soup together. potato flakes–not enough to make mashed potatoes out of my soup, just enough to add thickness. The sample soup had Thrive’s Veloute sauce (chicken gravy), and some corn starch to thicken it. Let it all simmer until it’s cooked through and voila! You made a delicious new meal out of foods that were just sitting in your fridge or cupboard! Serve with homemade bread for a real treat. Let me know how your soup turns out! Happy eating!